Sunday, January 6th, 2-5 pm. 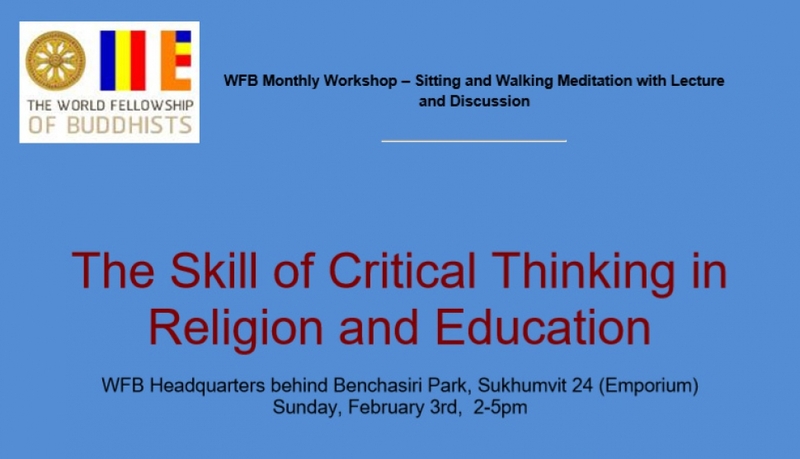 This is a monthly afternoon workshop hosted free of charge in English by the World Fellowship of Buddhists organization in Bangkok. Various speakers are invited each month. 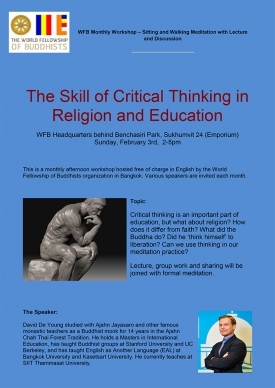 Critical thinking is an important part of education, but what about religion? How does it differ from faith? What did the Buddha do? Did he ‘think himself’ to liberation? Can we use thinking in our meditation practice? Lecture, group work and sharing will be joined with formal meditation. David De Young studied with Ajahn Jayasaro and other famous monastic teachers as a Buddhist monk for 14 years in the Ajahn Chah Thai Forest Tradition. He holds a Masters in International Education, has taught Buddhist groups at Stanford University and UC Berkeley, and has taught English as Another Language (EAL) at Bangkok University and Kasetsart University. 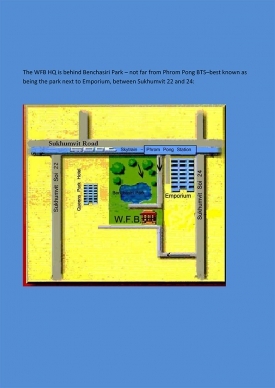 He currently teaches at SIIT Thammasat University.